If your toenails are thick, yellow, or deformed, or you see other visible signs of disease, the most common cause of these symptoms is a toenail fungus infection. If these signs continue, you can expect the nails to become even more brittle and rough. Eventually the nail will begin to remove itself from your nail bed. This is usually the same kind of fungus that's to blame for athlete's foot and other issues. Since it's a progressive infection, it will only get worse and damage your nail further, from the tip down to the base. This can affect anywhere from one nail to all nails on both feet, and may spread if given enough time. Like most fungi, toenail fungus grows fastest in dark, moist conditions, which makes a sweaty athlete's shoe the perfect petri dish for it to take root inside. This may also have negative effects on your socks and shoes, not to mention your foot odor. If you have an immune disorder or diabetes, toenail fungus may lead to severe health problems. However, it can impair your quality of life and health regardless of your pre-existing medical conditions. With the infection buried deep under the toenail, treatment of the fungus is often rather difficult, especially on your own. Medications—especially topical ones—have trouble reaching the full extent of the contaminated area. In addition, oral medication and treatments, such as antifungal nail polish, may have harmful side-effects and can interact badly with other drugs. While home remedies sound like a good idea sometimes, in reality, using mouthwash or vinegar proves less than effective, and using bleach or other household chemical cleaners can do more overall harm to your health than good. 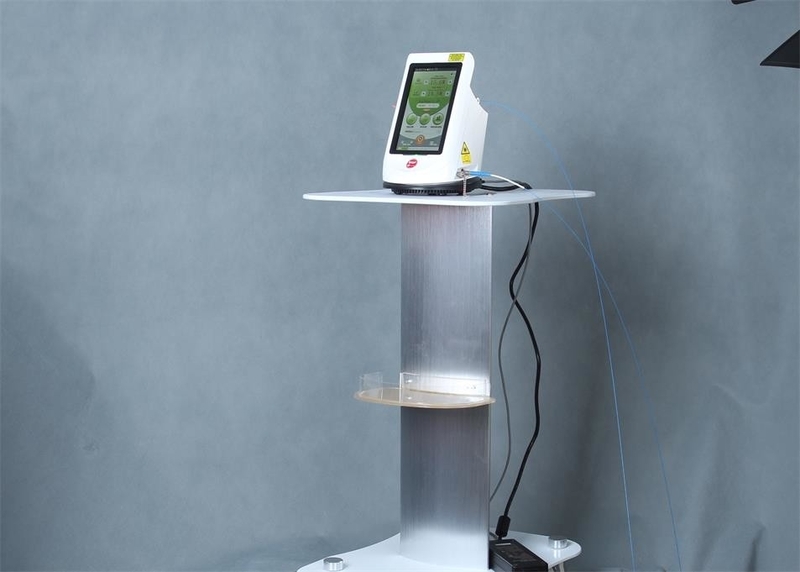 The Berylas 15 laser treatment targets only the fungus itself. You don't have to worry about any interference with other medications. And, you won't have any toxic elements in your liver like oral medicine may cause. What Sets Berylas 15 Laser Treatment Apart? This relatively new light-based procedure has shown to have an effective success rate near 80%. Clinical trials have been ongoing since 2007, and approved in 2010 by the US Food and Drug Administration. The results are clear: this is a safe way to eradicate toenail fungus. Unlike other treatments, Berylas 15 uses laser light to completely destroy fungi. This treatment works without damaging your healthy skin or the nail itself. The light can pass right through the nail! During Berylas 15 treatment, you'll only feel a warming sensation, and some slight pinpricks as the light passes over. An infected nail will usually require two passes, while your uninfected nails will get one pass, to be sure the infection is completely disintegrated. Berylas 15 treatment has, amazingly, no side-effects. There is no period of recovery—feel free to return to your normal daily activities right away. You don't even have to wait to polish your nails again. If your nails are in a severe condition, or if you're reinfected, a you may need a repeat treatment. However, usually you'll only need this one single time.